Amaryllis Hippeastrum is an easy to grow bulb that produces a huge bloom for your home. 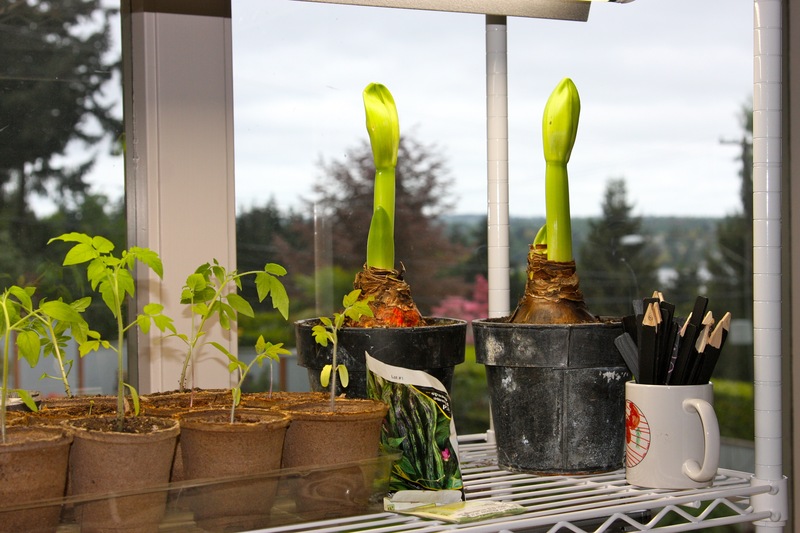 Planting and growing an amaryllis is easy and cheap and is a great fresh addition to any of your Holiday decorations. A great decorating tip: plant five or six amaryllis clusters around your home and watch how much color is brought into your home with these big bright flowers! Planting amaryllis in clusters also can create a diversity of color. Planting pink, red and white amaryllis bulbs in one container for a play on different hues, or plant all one color for a more monochromatic look. Since amaryllis bulbs are so inexpensive this can be a great way to fill in spaces that seem empty in your house during the winter months, so buy some bulbs and go crazy!